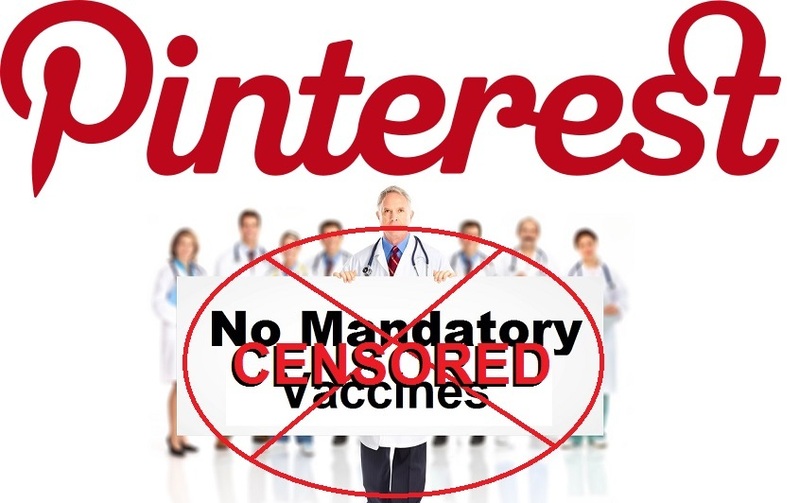 One of the myths propagated by the corporate-sponsored "mainstream" media is that medical doctors are united in their support of mandatory vaccination laws. This is simply not true. The medical doctors and physician groups that have taken a stand against mandatory vaccination laws are almost never interviewed in the corporate media, and if they are referred to at all, they are called "quacks." The largest medical association in the world is the American Medical Association (AMA), which has strong ties to the pharmaceutical industry and probably represents more lobbyists in Washington D.C. than any other trade group. And yet, less than 25% of the licensed medical doctors in the United States are members of the AMA, down from 75% in the late 1950s. So it would be incorrect to believe that the AMA represents the views of most of the physicians in the U.S. They do not. 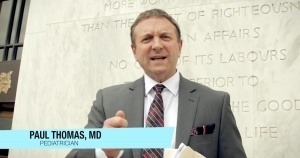 Two other medical associations have come out with statements against mandatory vaccinations in the past couple of days, the "Association of American Physicians and Surgeons" and "Physicians for Informed Consent." You will not likely find their views expressed in the corporate-sponsored media outlets dominated by Big Pharma advertising revenues, and you will not see any of them invited to testify in any government hearings to discuss vaccination legislation. Currently, vaccinations are not mandatory in the UK and, according to recent reports, the UK’s position on mandatory vaccination is unlikely to change. According to the British Medical Association, in 2003, the Department of Health issued guidelines clearly stating that none of the vaccinations available in the UK were compulsory and that they were all offered on a voluntary basis. These issues were once again debated by the British Medical Association (BMA) earlier this year, and once again, UK doctors voted against making vaccinations compulsory in the UK. 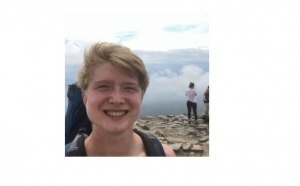 This being the case, it is difficult to imagine why a so-called reputable university such as Cardiff would actively choose to dismiss a student physiotherapist from his course, simply because he refused to be vaccinated. In September 2015, Edward Thompson registered with Cardiff University to study for a Bachelor of Science degree (BSc) in physiotherapy. According to Mr. Thompson and his family, when he registered for the course, his vaccination status was not discussed and there was no mention of vaccinations being required, in either the university’s literature or at his interview. However, six weeks after his course had begun, Mr. Thompson was asked to attend an appointment with the Occupational Health Department, where the subject of vaccination was broached by the university for the first time. 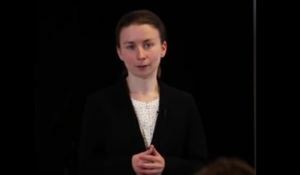 Turning their backs on the human rights principle of voluntary informed consent memorialized in the Nuremberg Code after World War II, health authorities in France and Italy are fast-tracking involuntary vaccine mandates for school-age children. 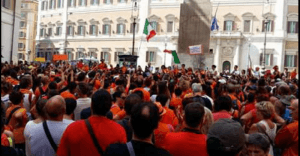 In Italy, millions of Italians have been demonstrating since June, protesting the infringements to parental rights. On July 28, industry-beholden Italian legislators voted 296-92 to pass a one-size-fits-all law that mandates multiple doses of ten vaccines for preschoolers through teenagers, imposing steep fines for parents who do not comply. 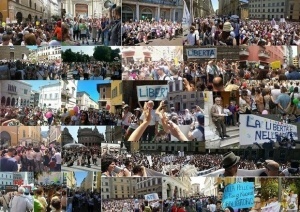 Mainstream media outlets in both Italy and the US ignored the record protests against medical coercion. A recent survey found widespread doubts among Italian and French citizens about the importance and safety of vaccines. A cascade of recent scientific studies have described the emergence of new vaccine-related autoimmune illnesses and the inferior health status of vaccinated compared to unvaccinated children. 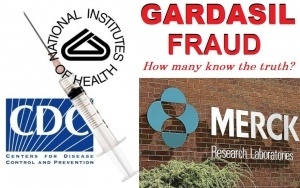 Furthermore, a slate of films, news reports and government investigations have exposed widespread corruption among vaccine regulators, government efforts to hide serious vaccine-related adverse reactions and intimidation of scientists who publish data contrary to the orthodoxy that all vaccines are always safe for all children. Do you know the difference between companies that sell cigarettes and companies that sell vaccines in America? When cigarettes injure or kill people, tobacco companies are financially liable in civil court. But when vaccines injure or kill people, drug companies are not. That’s right. 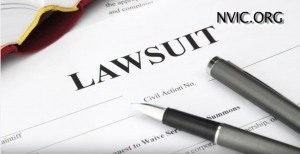 If you get lung cancer from smoking cigarettes, you can sue the tobacco company. But if you or your child suffers brain damage or dies after getting a vaccine, the drug company cannot be sued. And you can’t hold any person who licensed, recommended, gave or voted to mandate the vaccine accountable in a court of law, either. Here is why: In 1986, Congress gave drug companies a partial civil liability shield for vaccine injuries and deaths. In 2011, the US Supreme Court effectively banned all vaccine injury lawsuits, ruling that vaccines are - quote - “unavoidably unsafe.” Then, in 2016, Congress lowered licensing standards for experimental vaccines so that drug companies can fast track them to market without conducting large clinical trials. 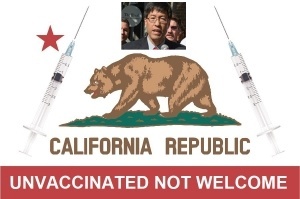 Now, drug companies and their friends in medical trade are lobbying state legislatures to strip vaccine exemptions from state public health laws. That’s right. Even though drug companies and doctors have been given an unprecedented liability shield removing all responsibility for vaccine injuries and deaths, they want more. 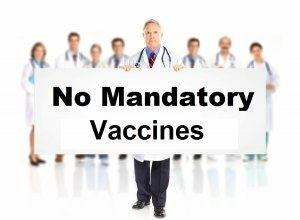 They want “no exceptions” vaccine laws forcing you and your children to use every dose of every government endorsed vaccine without your voluntary, informed consent.